My LibreOffice Writer 3.5.7 crashes every I click menu Tools > Bibliography Database. So I can not open it. After searching, I find that default LibreOffice in Ubuntu 12.04 (which I am currently using) was missing LibreOffice Base. Bibliography Database needs LibreOffice Base so it crashes on my Ubuntu. Do you experience same crashes in your Ubuntu? Then just install Libreoffice Base. Below you can choose installing whether by using Terminal or GUI. Remember that if your LibreOffice package is old (e.g. 3.5.7 like mine), apt will pull the new version available on your repository. Apt will upgrade your whole LibreOffice suite. 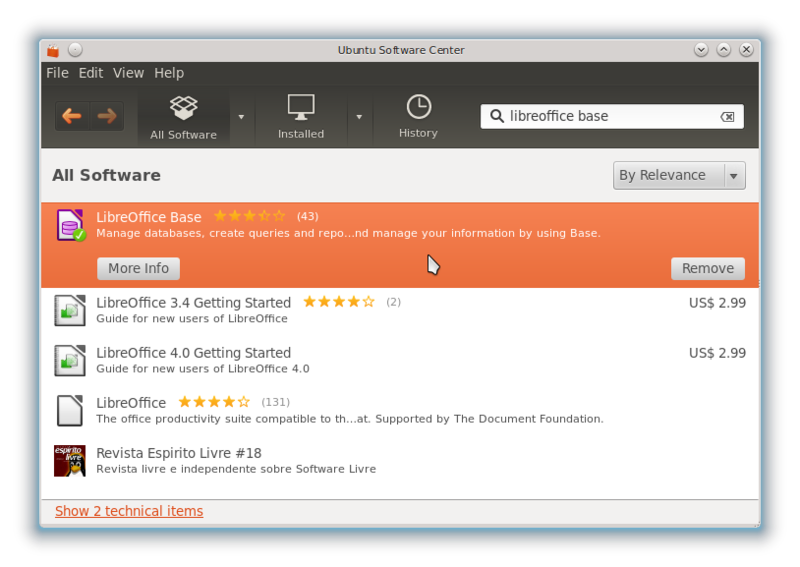 If you are currently using Ubuntu default, then you find only Ubuntu Software Center (USC). You should open it and search libreoffice base then click Install button. Let USC download and installs them. I am Synaptic user. 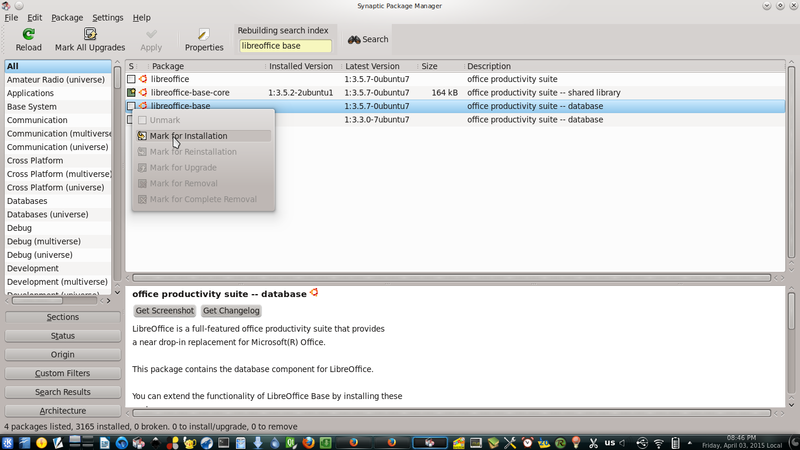 I use Synaptic to choose libreoffice-package and install it. Search libreoffice base in the Synaptic search bar. Click on the libreoffice-base package entry from the search results > Mark for Installation. A small window will appear to show you what will be downloaded. If you use limited internet access, you should pay attention for it.Then click OK.
Click Apply button (green check mark icon) in the Synaptic toolbar. Let Synaptic download the packages and install them. 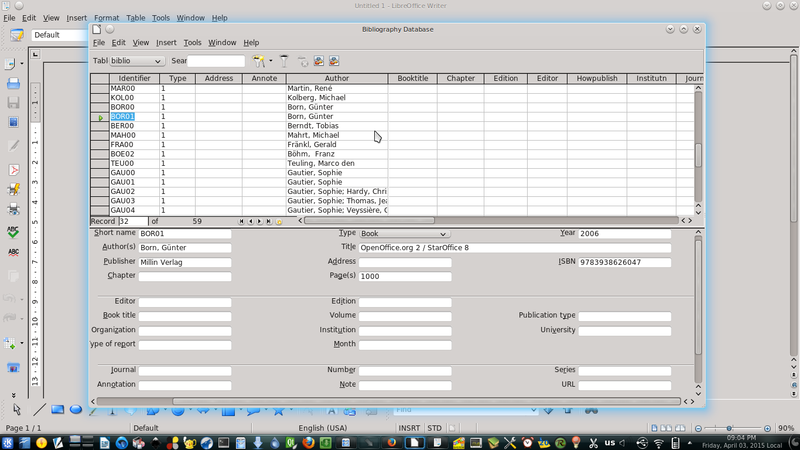 Bibliography Database should work now and LibreOffice Writer would not crash again.